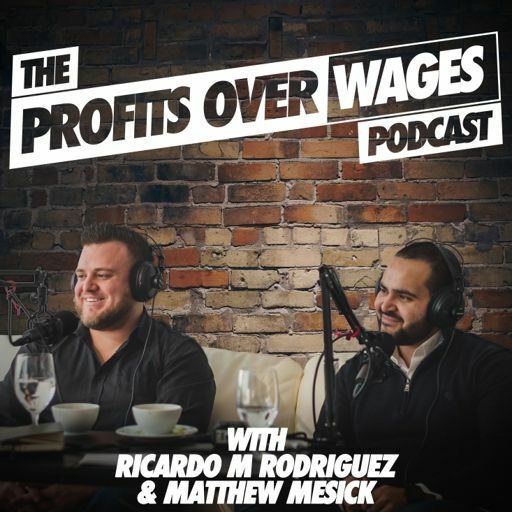 On episode #26 of the Profits Over Wages Podcast we sat down with Miguel Paloma and Tony Arce - Founders of Red Ivy Studios, Red Ivy Social and devHour.tv™. Red Ivy Studios creates memorable brand stories, creative messages, and visually stimulating marketing campaigns for small businesses. They help clients optimize their marketing strategy in order to build brand loyalty, increase exposure, and drive sales. Whether the strategy calls for TV commercials, infomercials, corporate videos, marketing and promo videos, training films, live events or documentaries, Red Ivy’s production studio features the latest cutting-edge high-definition digital cinema, photography, and audio recording. Red Ivy Social creates, plans, and executes experiential marketing events that deliver real results by shaping new perceptions and positioning clients where they want to be. They take audiences beyond digital reality into real experiences based on real relationships. devHour.tv™ is an exciting, new, online platform that pays homage to the Chicago's restaurant scene. On this episode we talk about building a personal brand, telling your story and why it’s important, how to make a human connection in today’s multi-device world and Tony role plays with Matt to get him to share his story, what motivates him and why he does what he does.